A memoir written in the voice of a twelve year old Irish Catholic girl living in the Bronx in 1954, Confessions recounts one year in the life of Joan, a very tall, religious, funny, self-conscious, emotionally imprisoned, lovable girl whose journey takes her from innocence, isolation, and inhibition to the beginnings of freedom and awakening. Fiercely committed to seeing only the good, the Joan who greets us is flush with the beauty of life and the Lord. Gradually, however, she sinks into the devastation of adolescent self-consciousness over her many problems including her unusual height, unbridled guilt, and conflicted, often painful, relationships with family. 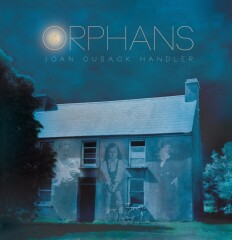 Confused by her Catholic commitment to confess all one’s wrongs on the one hand and her mothers’ dictate to say nothing of what happens inside the family ‘four walls’, Joan struggles to find a place where she can reveal all that torments her—this relief she finds in her notebook. In this ‘place’ of solace and grace–the format, a kind of Confession–Joan is freed to know and reveal herself in all her flaws and frailties. Recommended reading for all ages—preteen to adult, Confessions is the product of Handler’s dual professions, writer and psychologist, which place her in a unique position to explore the psychological truth of such a complicated character and family. But as soon as I start feeling a little happy to be a girl, I get all scared that I’ll have to be a Nun. See one of the things I’m supposed to be doing to take care of my soul is praying for God to choose me for a Religious Vocation. Which means He picks me to become a nun or a priest if I was a boy. Nuns are married to Jesus. They even wear a wedding ring and you can still have a Wedding but the Groom isn’t there of course. It’s too bad that He isn’t at the Wedding, His Body I mean but He’s on the altar in the Host. But you can still walk down the aisle in the beautiful long white gown with maybe even a train. But sad to say right after the wedding part you have to take off the wedding dress and the veil and put on the long black frumpy Habit with the gigantic rosary beads hanging down and the black stockings and big lumpy oxfords. And the head thing, you have to wear it cause you can’t show any hair if you’re a Nun, I guess hair must be immodest like skin. I don’t really understand why but I know a lot of Nuns and I never once saw one bit of hair, even Aunt May, I never saw a strand of her hair. Sometimes I try to picture it and I imagine it black and curly and long or red and maybe shoulder length in a flip. But it doesn’t work. Finally me and Virginia and Catherine Cavanaugh and Frank De Mott decided that the hair must be shaved, there’s no way that with all the Nuns we know that we wouldn’t see just one little bit of hair if it was there, just one little strand that escaped but we just never did. I feel pretty guilty picturing the heads because of the baldness being so personal and for sure embarrassing for Sister or Aunt May so I try not to. My favorite head thing’s the one our nuns wear, they’re the Sisters of the Divine Compassion. Their whole outfit’s pretty great, for nun’s clothes I mean. It has a really pretty black dress with big airy sleeves trimmed in red with a little ribbon of red around the front bib, then a wide cinch belt, four or five inches even and deep full pleats that go all the way to the floor. So if a Nun has a really small waist like I do, she can look like a Model for Nun’s Habits. And it has a thin flowy veil like a bride’s except it’s black and it stays close to the face and isn’t this huge thing like an airplane that some Habits have. Aunt May’s is more like a big circle that starts at one shoulder and goes all the way round in a big swoop past the top of her head to her other shoulder like a huge halo. Maybe that’s part of the Sacrifice you make being a Nun, going around for the rest of your life with this big ugly thing flying off your head. I feel kind of sorry for the ones with the ugly habits. I can’t understand why they didn’t choose an Order that has a prettier Habit like our Divine Compassions. They’re all marrying Jesus so why not do it in a pretty Habit. And don’t they ever miss their clothes like their favorite poodle skirt or their Easter topper? And Nuns even give up their names. Even though I’m not exactly crazy about mine, I don’t think I’d want to get used to a completely new name and not know when people are talking to me cause I’m so used to being called Joan. And what if it’s an awful name that I wouldn’t be caught dead having? Like Bertha or Gertrude, or maybe it’s even a man’s name like John or Stephen or Joseph! What could be worse than to be a girl with a boy’s name. And that business of getting up in the middle of the night to pray, even Regulars have to do that not just Cloisters. Being so sleepy all the time, having to pray in the dark kneeling on concrete and shivering from the cold when everyone else in the world is sleeping under their covers. I’d want to be doing that anyway. The other vow is Poverty which really isn’t too bad either, it’s true that I’ve always wanted a fur coat and my own spending money and of course a car but I can get used to it. It’s not like I’m rich and have to give away all my money and my jewelry. Anyway God’s great to me always giving me stuff like my bike and Tommy writing in a heart that he likes me so what’s the big deal if I did have to give up my jewelry? But the Obedience Vow’s the biggest problem, I’d be disappointing God all the time like I feel when I wet my bed so no matter how hard I prayed the night before I failed again. And I still don’t know why God doesn’t seem to hear my Please Don’t Let Me Pee Prayers. Is it my Cross or is He mad at me? I wish I could be like the girls who want to be Nuns, they’re so lucky they’re in love with the Habit and don’t care about having to be obedient and I don’t blame God one bit for loving them more than me which I’m sure He does. But sometimes I wonder if nuns ever feel jealous of all the other nuns who’re married to Jesus too. But that’s really Selfish cause it has to be so great for Jesus having so many Brides loving Him more than anything, for sure that’s what He deserves, Totally and Completely. But still I keep feeling that I’d want to be the Favorite and the Best, not wanting to share even. But probably not nuns cause jealousy’s a sin and nuns don’t commit sins. 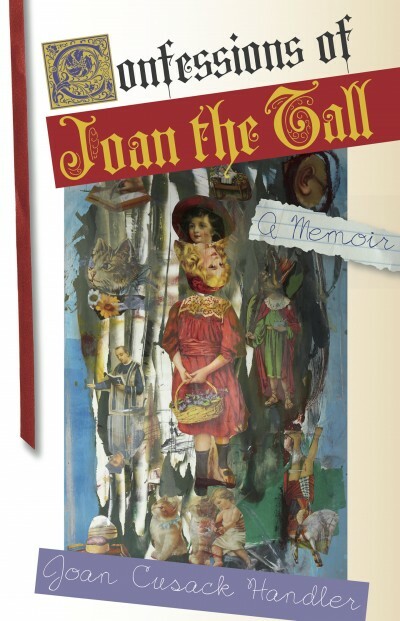 "Confessions of Joan the Tall is a truly remarkable book. It captures both the complex emotions of an adolescent in an ethnic, working-class neighborhood, and the unwritten social and spiritual rules of 1950s American Catholicism. Somehow, though told in the voice of a young girl, the story has about it a psychological and emotional subtlety and complexity that is fully mature. It’s impossible not to like Joan, impossible not to feel for her in the depths of her coming of age struggles, and impossible for anyone raised in a devout Catholic family to keep from smiling and nodding at the author’s insights into the Roman Catholic mindset. It’s a book that can be enjoyed by anyone between the ages of ten and a hundred—Catholics and non-Catholics alike-- a real literary achievement that I both enjoyed and admired. I wanted it to go on and on." "Confessions of Joan the Tall is a splendid book, and Joan the Tall is a splendid girl—brave, effervescent and vulnerable. She flubs the rules of the Catholic church, she flubs the rules of family life, and amidst the quandaries, sins, punishments, and totally divine greedy moments in this story of her Irish American family, she grows into what tallness can mean—the ability to see from a mountaintop. From her devout father to her feisty mother, from her well-groomed sister to her brothers--both bullies and allies--and from her big shoes to her fabulous white bathing suit, Joan grows, showing us (and herself) what it means to be larger than life." 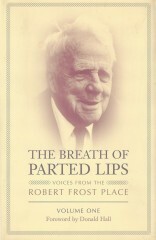 "In this memoir, Handler creates a vivid portrait of a particular place and time, a Catholic neighborhood in the Bronx in the early 1950s. The author writes in the voice of a younger self, recording daily adolescent life in a diary, where she struggles with issues of physical image, popularity, family loyalty, right and wrong, and all in the context of a community bound together by a common faith. We ache for Joan as she stands alone at a local dance, pretending to read the notices on the bulletin board. And we feel tremendous pleasure as she begins to grow beyond the confines of her world and to glimpse the alluring promise of future happiness." "An unflinching evocation of a Catholic girlhood. In short chapters that touch on nodes of great feeling, she summons up both torment and tenderness. The reader is ushered into a world which reaches from the rooms of her Irish immigrant house in the Bronx to the mysteries of religious feeling. The narrator is beautifully alive to the endless hazards, complications and indignities of growing up. So much of the wisdom of childhood lies in the strange blend of endurance and enchantment. 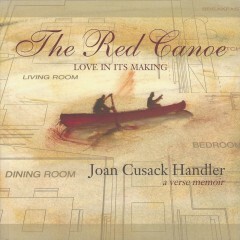 Joan Handler has a sure feeling for both." "We are engrossed by the often painful story of a child trapped in an obedience-based working class Catholic family, a demanding and usually unforgiving Church, and an environment seeming devoid of gentleness and pleasure. Unforgettable."